The Overwatch League (OWL) will start on February 14. Twelve teams from around the world will compete to be the top team and win the Overwatch League 2019 championship. The OWL will start with the regular season. The regular season is divided into four stages, each consists of ten matches. Each team will play 40 matches in all. Each stage is a different game mode: assault, assist, hybrid, or control with unique map types. Whichever team wins the majority, wins the match. If it is a tie, they play a tiebreaker on a control map. The Title Match happens on the last Saturday of each stage. The second and third place teams compete for the chance to take on the top team of the stage. After the regular season, six teams qualify for the playoffs. The teams that placed first for each division and the next top four teams qualify for the playoffs, which is a single-elimination bracket until one team remains and is crowned the winner. 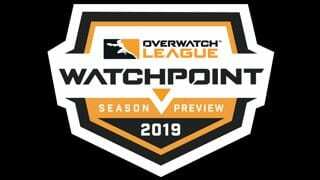 The 2019 OWL will start with an important match: Philadelphia Fusion and London Spitfire going against each other on the very first match. In case you don’t know, Fusion and Spitfire were the two finalists for last year’s tournament. London Spitfire won the championship last year and this year we start of with a grudge match between the two teams, a rematch of sorts. Most people are expecting London Spitfire to win because of their great team and win last year, while some people are expecting a comeback of the Shanghai Dragons, a Chinese team. Last year Shanghai Dragons were 0-40, but they have improved and kept the people they needed to keep. Expectations are slowly rising for the underdog to overcome the failure of last year’s tournament. When two members of the Overwatch League were asked about their predictions for 2019’s tournament, both predicted London first and Philadelphia fourth, but predictions of the other teams varied. They both included Shanghai Dragons, but one predicted them tenth and the other at seventh. They also have high hopes for New York Excelsior, the team for New York. They both predicted New York second. Other than that, all other teams have no solid expectations, with some people expecting another team to win, while others expect them to lose with no common ground between the two predictions.